(Top row, left to right): Cynthia Bastidas, Mariana Buoninconti; (second row, left to right): Liza Colón-Zayas, Valeria Cossu; (third row, left to right): Berenice Di Piazza, Edwin Dormoy; (fourth row, left to right): José Febus, Tamara Geisler; (fifth row, left to right): Brenda Hernández, José W. Hernández; (sixth row, left to right): Roberto Hill, Jr., Carmen Lamar; (seventh row, left to right): Jess Martin, Olga Merediz; (eighth row, left to right): Cedric O. Miró, Magnolia Núñez; (ninth row, left to right): Patricia Olvera, Andy Pérez; (tenth row, left to right): Salvatore Rodríguez, Jeannie Sol; (eleventh row, left to right): Liz Thomas, Patrick Michael Valley; (bottom row, left to right): Sealie West, David Zayas. Abraham Makany, shown at left, became the newest member of The Bats, the resident acting company of The Flea Theater in NYC. He found out about the audition through the e-mail announcements that HOLA sends to its members and self-submitting. For more information, click here. 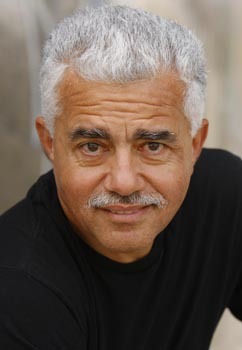 Carlos Arce booked a role in the short film Hotel Pennsylvania (written by Lani-Rain Feltham and directed by Mark R. Wilkins). Repertorio Español announced its Van Lier Young Director Fellows. They are Leyma López, Freddy Mancilla and Inés García. The young directors will helm shows during the months of July and August at Repertorio's namesake theater (located in the Manhattan's Rose Hill neighborhood). For more information, click here. In addition, the theater is also presenting Probation. 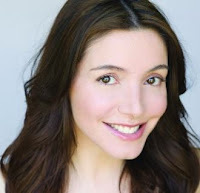 Written and directed by Yoshvanni Medina, the play stars Hannia Guillén, Alfonso Rey and Sandor Juan and will be presented in July at Repertorio's namesake theater in the Rose Hill neighborhood of Manhattan. For more information, click here. Rodney Roldán and Elaine Del Valle booked roles in the television sketch comedy series "Epic Fail" (MTV). 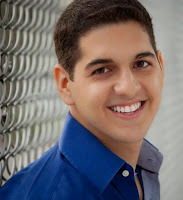 Johnathan Cedano will be seen on stage acting in a special performance of Doric Wilson's Street Theater. The play, directed by Mark Finley, will be presented in June at the Lesbian, Gay, Bisexual & Transgender Community Center of New York, located in Manhattan's West Village. Angie Regina and Sandy Hernández will perform in the dance-theater piece Lady Lab. Conceived and directed Bethania Rivera and based on William Shakespeare's character of Lady Macbeth, it will perform in July at Roy Arias Studios and Theaters in the theater district of midtown Manhattan. 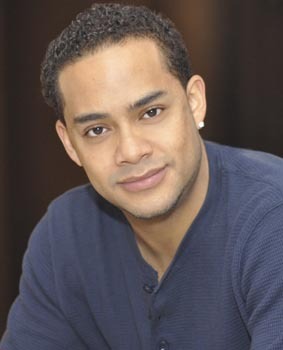 Ángelo Mercado, Jr. booked a role on "Celebrity Ghost Stories" (The Biography Channel). On May 18, 2012, the Institute of Puerto Rican Arts and Culture (IPRAC) hosted a luncheon to honor Marquita Rivera, on the occasion of her 90th birthday with the Antonio Martorell Award for Artistic Excellence, as well as a Chicago City Council resolution, introduced by Alderman Roberto Maldonado, proclaiming her as an icon and legend that we share with the world and as the representative of our collective spirit and the embodiment of our people. The resolution and award was received by her son, Eugene Biscardi, who will fly in from Los Angeles to partake in this occasion, as well as to share a few clips of her many film appearances. Marquita Rivera was born on May 18, 1922 in Fajardo, Puerto Rico. 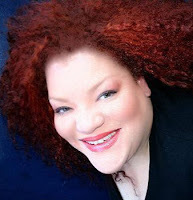 Marquita was at an early age when her family moved to New York City where her musical talents soon blossomed. One outstanding moment in her life was that at the age of sixteen, Marquita was chosen to dance before Britain’s King George VI and his wife, Queen Elizabeth, during their visit to the 1939 New York World’s Fair. Singer, actress, castanet player, flamenco dancer - all of these facets and more made up the lovely and talented “Latin Hurricane” Marquita Rivera, a pioneering musical performer in her time and a legend in ours. 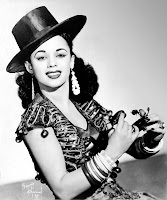 Rivera is considered an historic actress and entertainer that had planted the flag of Puerto Rico as a dancer on Broadway, as an actress in Mexico, and as the first actress from Puerto Rico to appear in a major Hollywood motion picture. Julio Agustín, shown at left, is featured in Playbill Online. He is helming a Latino version of the Cy Coleman-Dorothy Field-Neil Simon musical Sweet Charity. Produced by the New Haarlem Arts Theatre (NHAT), the production features choreography by Lainie Munro and stars Edlyn González (in the lead role of "Caridad"); Cedric Leiba, Jr.; Dennis Wit and Mónica Delgado. The show is scheduled to run in July and August at Harlem's famed Aaron Davis Hall. For more information about the production, click here. To read the Playbill article, click here. Due to popular demand, the Bridge Playhouse production of Sabina Berman's Muerte súbita will play in July. The show, directed by Daniel Jáquez, stars Alfredo Huereca, Ana Grosse and Rodrigo Cuevas and will take place at the Gershwin Hotel, located in Manhattan's Rose Hill neighborhood. For more information, click here. A.B. Lugo is set to helm the solo show My Last, Best Spouse. Written and performed by Raoul Daniel Luna, the solo show will be performed in July as part of the HOT! Festival presented by Dixon Place at its Cocktail Lounge space, located in Manhattan's East Village. For more information, click here. Duo Multicultural Arts Center is presenting All About Meat (The Garcías). 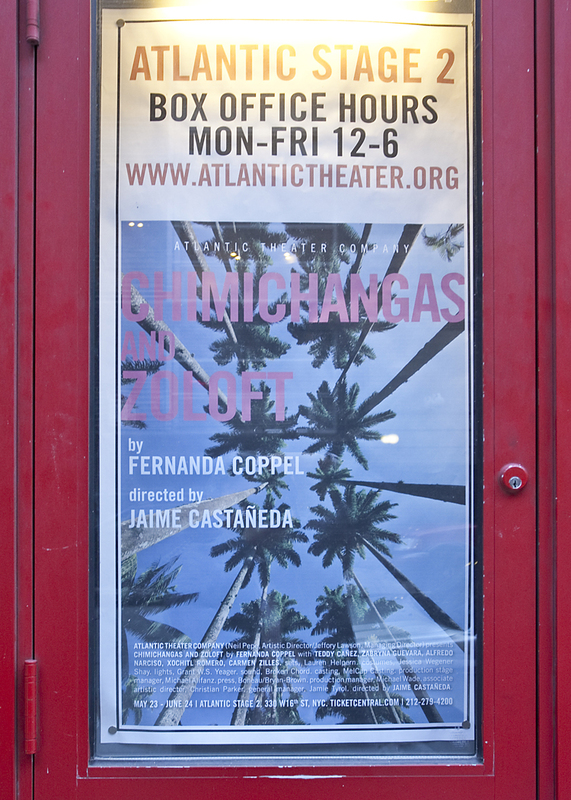 Written and directed by Michelangelo Alasá, it stars Alasá, Mario Bósquez, Cat Lippencott, Cristina Madero, Antonio Miniño, Facundo Rodríguez, Andrés de Vengoechea and Israel Viñas and is scheduled for an extended run this autumn between October and December at Duo's eponymous theater located in Manhattan's East Village. For more information, click here. 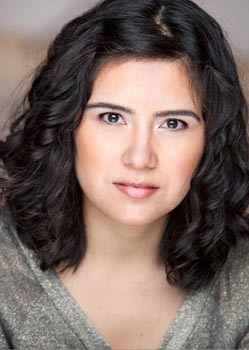 Yolanny Rodríguez will be seen on stage acting in the Franklin Domínguez play Se busca un hombre honesto. Also directed by Rodríguez, the cast features Rafael Decena, Roberto Larancuent, Octavio de la Rosa, Antonio Méndez, José Miguel Vásquez and Romy García and will have a July run at the Sala Don Iván García Guerra located in the Casa Cultural Navarrete-Nueva York in Manhattan's Washington Heights neighborhood. For more information, click here. Lorraine Rodríguez filmed a segment for eHarlemTV. Stefano Fossa and Guillermo Lozano, shown above, from left to right, were the stars of a Manzanita Sol commercial, in which they debate which is better: rock en español or ranchera music. The actors were cast after they read about the casting notice in the e-mail announcements that HOLA sends to its members and submitted themselves. The commercial can be seen below. Andy Pérez and Modesto Lacén can be seen in "Relaciones peligrosas" (Telemundo). 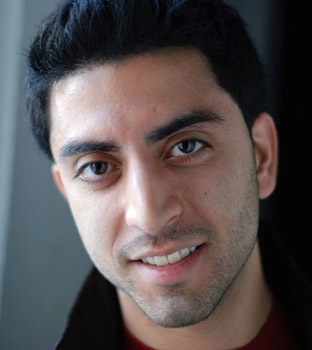 Mauricio Pita booked a commercial to be aired on the internet for PayFone. Society of the Educational Arts/Sociedad Educativa de las Artes (SEA) is presenting El encuentro de Juan Bobo y Pedro Animal/The Encounter Between Juan Bobo and Pedro Animal. Written and directed by Manuel A. Morán, the play will be produced in July at the Key Biscayne Community Center and Miami-Dade College's InterAmerican Campus in Key Biscayne and Miami, Florida, respectively, as part of the XXVII International Theater Festival of Miami. For more information, click here. Teatro TEBA is presenting Komo xstaba xskrito [sic]. The play, based on Biblical text was adapted and directed by Héctor Luis Rivera and will run in July as part of the VI Festival Internacional de Teatro de la Casa de Cultural Navarrete USA at the Sala Don Iván García Guerra, located in Manhattan's Washington Heights neighborhood. The cast features Kathy Tejada, Edison Carrera, Franco Galecio, Enmanuel García, Raúl Rivera, Edward Azcorra, Anny Gómez, Jorge Pluas and Joaquín García. Edison Carrera and Gloria Zelaya were highlighted in an Orgullo Ecuatoriano NY article as part of Franco Galecio's column Variedades con Franco. The article mentions the film they did together, Changing Diego (directed by Abraham Aponte), which is playing in film festivals across the United States. The article can be read by clicking at the image at left. 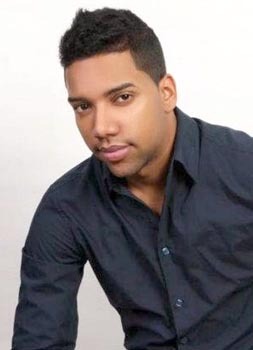 Rodney Roldán can be seen in episode five of the webseries "Karr's Pull" (starring Eddie Valdés, produced by 123 Studios PR and created and directed by Michael J. Morris). To see the episode, click here. 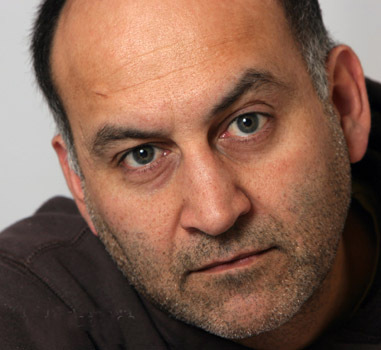 Jean-Marc Berne booked a Spanish-language voiceover for the Documentary Channel. 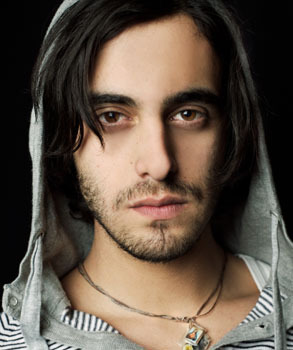 David Vega can be seen in the film Goodbye Brooklyn. The film, written and directed by Jon-Carlos Evans, based on a script by Randy Brown, will be screened in June at the Vision Film Festival at Tribeca Cinemas in the Tribeca neighborhood of Manhattan. For more information, click here. NEW Regional HOLA Membership Now Available! If you are an actor who lives in an area of the U.S. outside of the New York metropolitan area, New Jersey or Connecticut (HOLA's programming and administrative headquarters region), HOLA is proud to announce its NEW Regional Membership level - for only $65 (versus a $125 regular NYC region membership price) for one full year! • Your performances listed and promoted via HOLA's website, social media pages (Facebook and Twitter), and via their weekly newsletter that reaches thousands of people in the entertainment industry. • Advocacy to combat stereotypes of the Latino community in media and entertainment as well as the opportunity to join in solidarity with the Latino acting community. Application for regional memberships accepted by telephone order only. Call HOLA toll free at (888) 524-HOLA or (888) 524-4652. (VISA, MasterCard and American Express accepted.) Please submit your headshot (.jpg) and resume in a Word document (.doc) via e-mail. If You Wanna See a Hot Latino TV Series... Try the New "Dallas"
Check out this article in Latin Heat by Bel Hernández about the recent revamping of longtime nighttime soap opera "Dallas" (TNT) and its large number of Latino series regular cast members (Jordana Brewster, Carlos Bernard, Leonor Varela, Julie Gonzalo, Carlos Márquez and Marlene Forté) by clicking here. Laura Riveros, shown at left, was the subject of an article in the Colombian newspaper El Espectador. The article by Daniela Franco (which is in Spanish), declares her a faithful representative of the country of Colombia. It can be read by clicking here. Fernando Campos writes in the weekly newspaper El Especial about Repertorio Español's Van Lier Fellowship for Young Directors and highlighting one of last season's directing fellows, Andrés Zambrano, with his helming of the workshop production of Federico García Lorca's El público. The lauded production featured José Ignacio Vivero (who is also featured in a photograph for the Spanish-language article, shown at right), Alicia Lobo, Mariana Buoninconti, Daniel Ojeda, Ramón Hierro, Erickson Huertas, Julio Ortega and María Josefina Viteri in the cast. 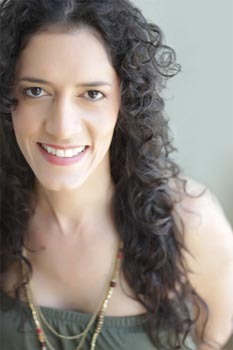 Yanelba Ferreira booked a role on an episode of "Evil, I" (Investigation Discovery). Milteri Tucker performed with the Bombazo Dance Company at Club Caché, located in the theater district of midtown Manhattan. LC Productions is presenting ZAPATA! The Musical. It will run in July as part of the New York Musical Theater Festival (NYMF) at the Alice Griffen Jewel Box Theater at The Pershing Square Signature Theater, located in the theater district midtown Manhattan. Written by Ana and Peter Edwards and directed by Elizabeth Lucas, the production will have musical direction by Jesse Vargas, choreography by Luis Salgado and feature Natalie Toro, Eliseo Román, Henry Gaínza, Enrique Acevedo, María Eberline, Blanca Camacho, Tony Castellanos, Jen Anaya and Erin Maya in the cast. For more information, click here. Edna Lee Figueroa, shown at left, booked a role in the workshop of the Michael Bettencourt play The Sin Eater. Directed by Sue Lawless, the show also features Nichole Donjé, Chiara Montalto and Alexander Stine, and will have a June workshop as part of Theater Resources Unlimited's 2012 TRU Voices New Plays Series. It will take place at the Roy Arias Studios and Theaters in the theater district of midtown Manhattan. Figueroa got the role after reading about the audition in the e-mail announcements that HOLA sends to its members and submitting herself. The People's Theatre Project is presenting a workshop of the play On the 1 Train. 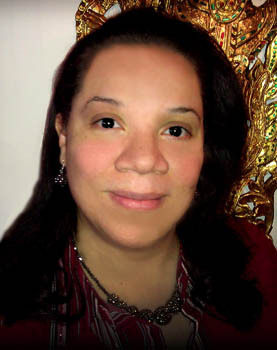 Written by Paola "Pie" Soto, the workshop is part of Inspired By..., a festival of new plays out of the Washington Heights neighborhood of Manhattan and will take place in June at the historic national landmark Morris-Jumel Mansion. 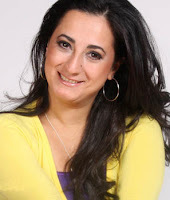 On the 1 Train is directed by María Aponte and features Elle de Amor, A.B. Lugo, Sevans Martínez and Fidel Vicioso in the cast. Ms. de Amor, shown at right, was cast in the project through an HOLA referral. 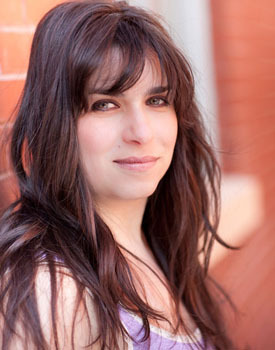 Plays written by Kimberly Barrante, Lina Sarrello and Carlos J. Serrano will be featured at the festival. For more information, click here. Rodney Roldán appeared on the series premiere of "Evil, I" (Investigation Discovery). 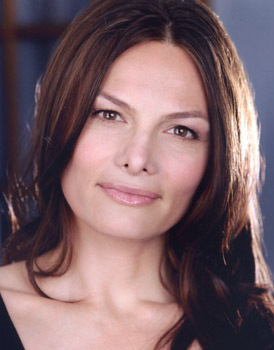 Mônica Steuer booked an industrial film for Laureate Education. 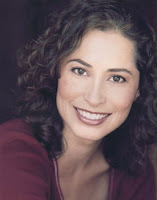 Elaine Del Valle and Ed Trucco booked a national commercial for Little Debbie in both English and Spanish. Alejandro Moscoso will appear in Shadows, the Musical. Written by Eidan Lipper and Isaac Cruz and directed by Lipper, it will have a June run at the Little Times Square Theater in the theater district of midtown Manhattan. A trailer for the show (in which Moscoso is the first face to be seen) can be seen below. Mónica Delgado was involved in a flash mob in the rotunda of New York's Pennsylvania Station in commemoration of Amtrak's National Train Day where the dancers performed to train-themed songs. The video can be seen below (she is wearing the green shirt). For more information about National Train Day, click here. 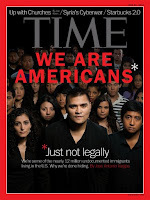 Check out this blog by Rebeldes of Latino Rebels regarding the recent Time Magazine cover story about undocumented people in the United States by clicking here. 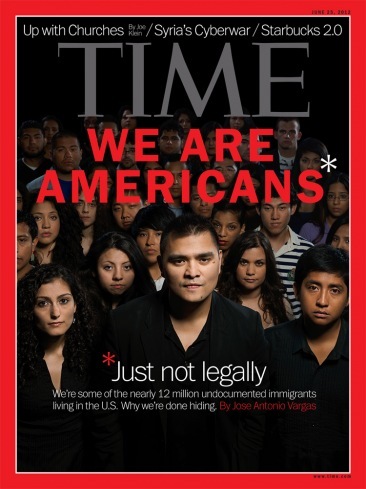 To read the Time Magazine article, click here. 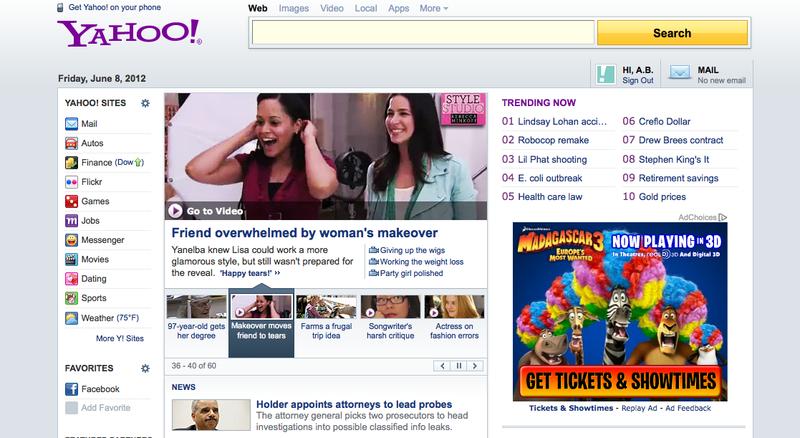 Yanelba Ferreira, shown at right in the screen capture, appeared in Yahoo! homepage as part of the web program "Style Studio with Rebecca Minkoff" (Y! Screen). 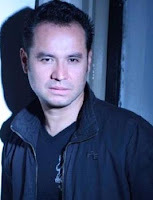 Marco Antonio Rodríguez will be honored by The Hispanic Court Officers Society at the organization's 26th annual dinner dance gala, to take place on August 16, 2012 at Maestro's Caterers in the Bronxdale section of the Bronx. For more information, click here. Sandy Hernández is currently shooting the police drama pilot "Jungla Azul" (directed by Domingo Ramos). LaMicro Theater and Equilicuá Productions are presenting Nocturnal Creatures. 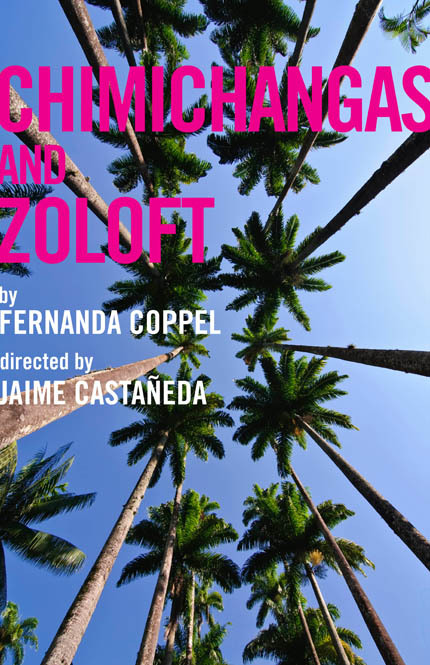 Written by Juan Mayorga (and translated by David Johnston), the play is directed by Jerry Ruiz and will be presented in June at Instituto Cervantes in Manhattan's Turtle Bay neighborhood. The cast includes Pietro González, Berioska Ipinza, Puy Navarro and Francisco Reyes. For more information, click here or here. 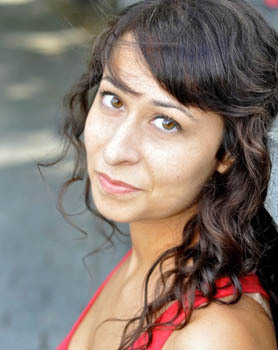 Suni Reyes performed standup comedy as part of the event Cold Soda. The event took place in June at The People's Improv Theater (The P.I.T.) in Manhattan's Rose Hill neighborhood. For more information, click here. Agüeybana Productions is presenting the musical King of Cans (El rey de las latas). Written by Tato Laviera and directed by George Zavala, the play features Arnold Acevedo, Eddie Conde, Gary Cruz, Caridad De La Luz, Jorge Quevedo, Jahleek Varner and Marcella White in the cast and will premiere in July at the Red Carpet Theare in Manhattan's El Barrio neighborhood. Alex Berne's new single and accompanying video "Ya llegó el día" was released. The song was written by Alex and Jean-Marc Berne. The video (directed by Robert Kruz and with additional guitar work by Janko Radosavljevic) can be seen below. 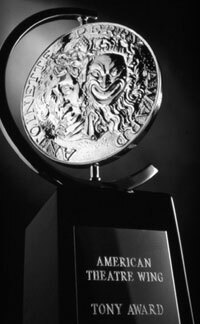 The Antoinette Perry Award for Excellence in Theater, more commonly known as a Tony Award, recognizes achievement in live Broadway theater. The awards are presented by the American Theatre Wing and The Broadway League. The awards are named after Antoinette Perry, co-founder of the American Theatre Wing. On Sunday, June 10, 2012, the 66th annual Tony Awards were presented. In the 66 years of its existence (as of this writing), there have been numerous Latino nominees, but only fourteen (14) have won the award, including quite a few who have multiple Tony awards. They are listed below in alphabetical order. • David Álvarez shared the Tony Award with Trent Kowalik and Kirill Kulish for Best Performance by a Leading Actor in a Musical for playing the title role in Billy Elliot The Musical (2009). • José Ferrer is the winner of three Tony Awards including receiving an award at the first Tony Awards ceremony, for Theatrical Performance by an Actor for his performance as the title character in Cyrano de Bergerac (he tied with Frederic March for his performance in the play Years Ago) in 1947. His other awards came in 1952 for Distinguished Dramatic Actor for The Shrike and for Outstanding Director for three plays (The Shrike, The Fourposter and Stalag 17). He remains the only person to win Tonys for directing and acting in the same year for the same project (essentially for directing himself). 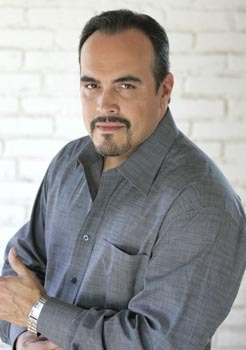 • Jesús García shared a Special Tony Award for Excellence in Theater with the principal ensemble of La bohème (2003). • Gerald Gutiérrez won back-to-back Tony Awards for Best Direction of a Play with his work on The Heiress (1995) and A Delicate Balance (1996). • Wilson Jermaine Heredia won the Best Performance by a Featuring Actor in a Musical for his role as Angel Dumott Schunard in Rent (1996). • Alex Lacamoire shared the award for Best Orchestrations with Bill Sherman for In The Heights (2008). • Priscilla López won the Best Featured Actress in a Musical Tony for A Day in Hollywood/A Night in the Ukraine (1980). • Lin-Manuel Miranda has won two 2008 Tony Awards for In The Heights, for Best Original Score (Music and/or Lyrics) Written for the Theatre and for Best Musical. • Rita Moreno won the Tony Award for Best Featured Actress in a Play for The Ritz (1975). • Karen Olivo won the Tony Award for Best Featured Actress in a Musical for playing Anita in West Side Story (2009). • Sara Ramírez won the Tony Award for Best Featured Actress in a Musical for playing The Lady of the Lake in Monty Python's Spamalot (2005). • Chita Rivera has won two Tony Awards, both for Best Actress in a Musical: The Rink (1984) and Kiss of the Spider Woman (1993). 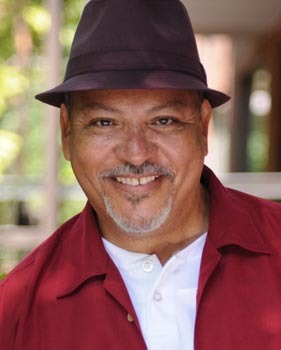 • Rubén Santiago Hudson won a Tony for Best Featured Actor in a Play for his role in Seven Guitars (1996). • Paulo Szot won a Tony for Best Actor in a Musical for his role as Émile de Becque in South Pacific (2008). 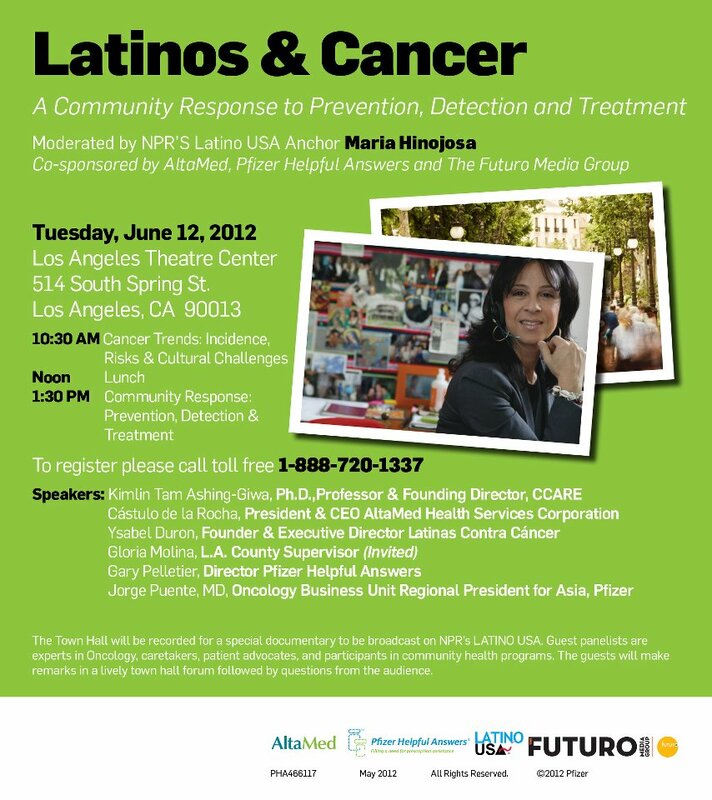 María Hinojosa, shown at right in the flyer image, is moderating Latinos & Cancer: A Community Response to Prevention, Detection and Treatment. 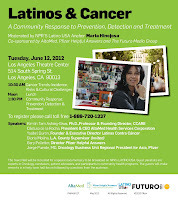 Co-sponsored by AltaMed health Services Corporation, Pfizer Helpful Answers and The Futuro Media Group, the town hall-style discussion will take place on June 12, 2012 at the Los Angeles Theatre Center in Los Angeles, California, U.S. The event will be recorded for an upcoming documentary to be broadcast on NPR's "Latinos USA," the program she hosts. For more information about the show, click on the image of the flyer at right. Rafael Fuentes can be seen in the film short The Worst Best Day, where he plays a groom whose psycho ex steals his fiancée's wedding dress right beforethe wedding. 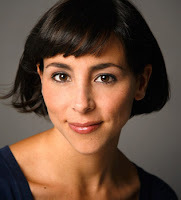 It was written by Lisa Kiesel and Daniel Quitério and directed by Janice Pérez and will be exhibited this June as part of The New York's 48 Hour Film Project at New York University's Cantor Film Center in Manhattan's NoHo neighborhood. For more information, click here. The Brick Theater, Resonance Ensemble and Core Creative Productions are presenting the world premiere of Rino. Written by Zack Calhoon and directed by Alberto Bonilla, the play, loosely based on William Shakespeare's Henry IV, will have a June run at The Brick Theater in the Williamsburg area of Brooklyn. For more information, click here or here. Suni Reyes booked a print ad for the New York City Department of Homeless Services. The ad can be seen on NYC buses and in train stations. 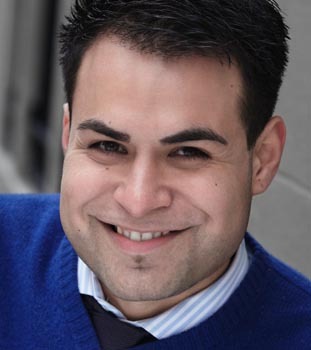 Fernando Gamarra will be acting in Extant Arts is presenting Molière's School for Wives. The show, directed by Greg Taubman will be performing in the Music Pagoda in Brooklyn's Prospect Park in June and in the Mineral Springs of Manhattan's Central Park in July. For more information, click here, here or here. Lucio Fernández is set to be the master of ceremonies of the first annual Union City Artist Awards. Presented by Mayor Brian P. Stack and the Board of Commissioners of Union City, New Jersey, U.S.A., it will happen on June 15, 2012 at the William V. Musto Cultural Center and honor artists of all disciplines who have contributed to the city's artistic fabric, including a special recognition to legendary Latino percussionist Cándido Camero. 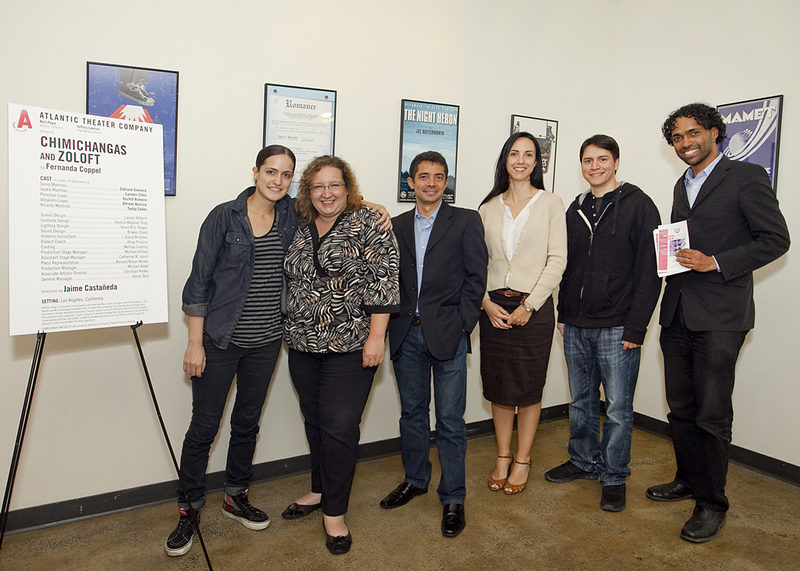 On Wednesday, June 6, 2012, the Hispanic Organization of Latin Actors (HOLA) hosted another installment of its HOLA After The Curtain/HOLA Después Del Telón series of post-performance discussions in conjunction with the Atlantic Theater Company (ATC) production of the play Chimichangas and Zoloft. The event, moderated by bilingual multimedia journalist José Bayona, was held immediately after the performance, which took place at the theater's Stage 2 space. Participants included playwright Fernanda Coppel; director (and ATC Artistic Associate) Jaime Castañeda; and cast members Zabryna Guevara, Carmen Zilles, Xochitl Romero, Alfredo Narciso and Teddy Cáñez. Bayona led the discussion in which Coppel admitted that she had never thought of actually writing the play. At the time of the play's genesis, she had been in graduate school under the tutelage of Marsha Norman. Norman gave her an assignment: write 10 pages of a play you would never write. 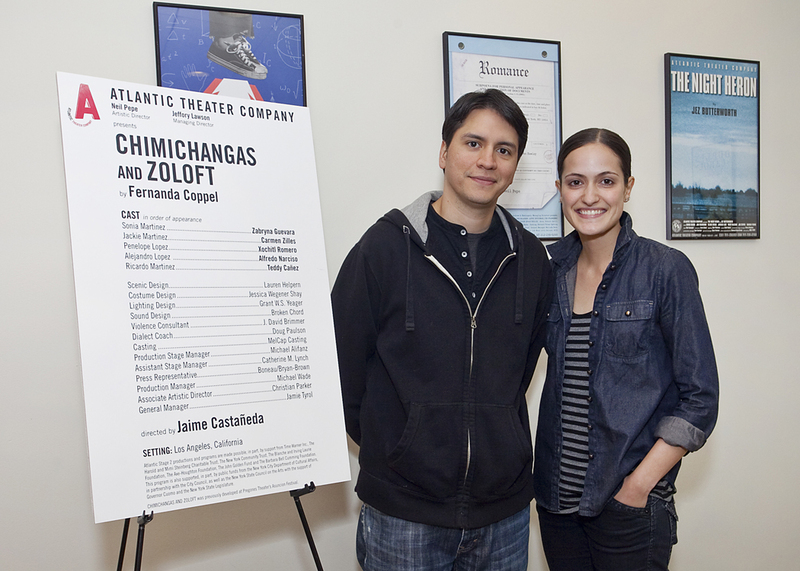 The play that she would never write became Chimichangas and Zoloft. The play was developed at the Pregones and Atlantic Theater companies, where it won the Asunción Queer Latino Festival at the former. Director Castañeda spoke on the challenges of getting a play like Chimichangas and Zoloft produced, with its widely diverging themes (from LGBTQ issues to prescription drug abuse to depression to growing up middle class Latino in Los Angeles) as well as how does one pitch a play that has an all-Latino cast, a Latino playwright (and director) to a theater with the aim of reaching a general audience. Other points echoed by the actors is the rarity of doing an all-Latino theater production (playwright, director, cast) in a theater that is not specifically Latino in scope and how comforting it was to do so. Also, for two of the actors who did an earlier reading of the play, it was fascinating for them to revisit a familiar character after years away and to see what new things can be brought to a character with added life experience of the actor portraying him/her. In her off-Broadway debut, Coppel admitted that this play is her first comedy and the first time she created male characters. Narciso remarked that he makes instinctual choices when doing the first reading of a play in rehearsal, and then breaks down and puts together the character he is portraying in many forms before ultimately going back to his original ideas about the character, a point echoed by the other actors in the play. 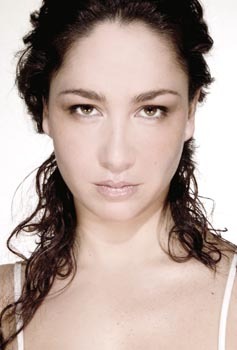 Guevara added that since almost all of her scenes are monologues directly addressed to the audience, she often felt as if she were in the trouble or the principal's office when she went to rehearsal with director Castañeda (usually by herself). The conversation wrapped with several panelists remarking on how great it was to be playing American Latino characters where being Latino wasn't their primary characteristic. The characters just happened to be Latino with very universal, human experiences. 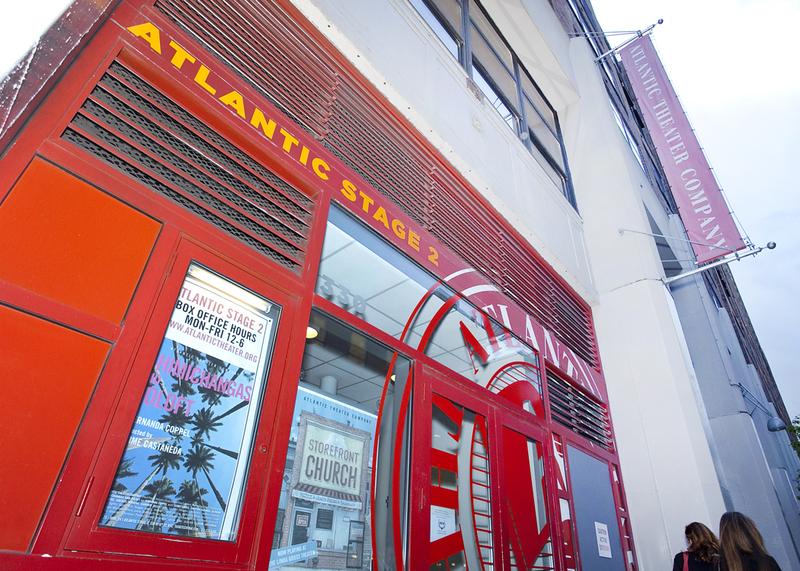 Special thanks to all the participants and the staff of Atlantic Theater Company (including Courtney Kochuba, Ryan Pointer, Sam Horvath and Jenni Dickson) for helping make this event a successful one. Photo credits: Anthony Ruiz/ARuiz Photography. Nanda Abella, shown at left, booked the role of a coyote (a person who helps people cross the Mexican border into the United States illegally) in Color TVs in Tijuana. The show, written by Casey Wimpee and directed by Cole Wimpee, is a performance piece using seven performers, seven TVs and seven scenes to explore Christ's seven stations of the cross in the context of modern-day Tijuana, Baja California Norte, Mexico. It will have a June run at Brooklyn Fire Proof in the Bushwick neighborhood of Brooklyn. Abella was asked to audition after the director saw her headshot in the HOLA online directory of talent. The part was originally written for a man, but changed based on the strength of her audition. For more information about the show, click here. Roger Ortega is acting in the play Areas of Heavy Traffic. Written and directed by Eugenia Macer-Story, the production is having a May and June run at the Cabaret Theater in the Theater for the New City, located in Manhattan's East Village. For more information, click here. Ellie Diez booked a Spanish-language voiceover for Samsung. 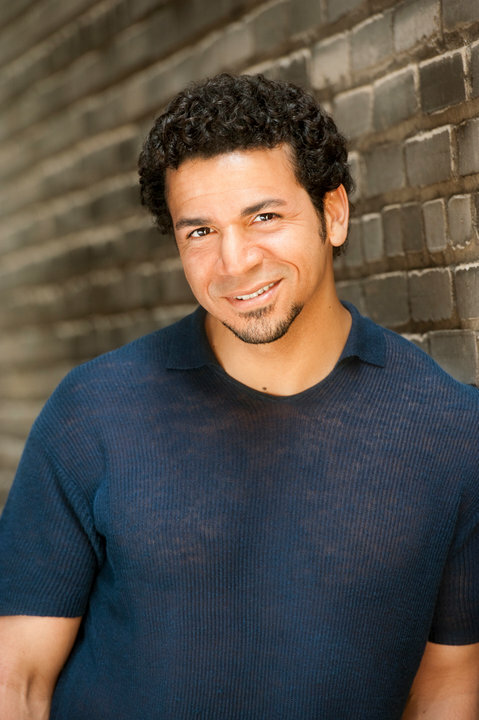 José Roldán, Jr. booked a Swedish commercial for the product Gainomax. Alejandro Fumero Gil can be seen in the Russian Arts Theater and Studio (RATS Company) production of The House of Curiosities. 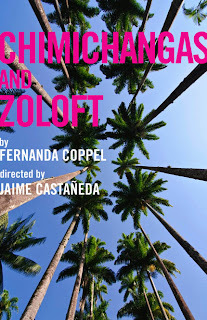 Written by Fred Pezzulli and Di Zhu, it is directed by Aleksey Burago and will be presented in June and July at the Connelly Theater in Manhattan's Loísaida neighborhood. For more information, click here. Ramón Hierro appeared in an episode of "Mortales" (Telemicro). After the disappointment of her 40th birthday, Sonia leaves her family and goes on a prescription Zoloft and greasy chimichangas binge. Meanwhile, her daughter Jackie and best friend Penelope team up to get Sonia back home. Their fathers continue their ongoing infatuation with each other as the girls struggle to keep the families intact. This irreverent story examines happiness and sexuality through the eyes of brazen teenagers. Go to Ticket Central or call (212) 279-4200 to buy tickets. Muerte súbita, the Sabina Berman play produced by Bridge Playhouse and performing in June at the Gershwin Hotel, was the subject of a profile of an article by Rafael Mathus Ruiz in Terra Mexico. The show stars Alfredo Huereca, Ana Grosse and Rodrigo Cuevas (pictured above, from left to right: Grosse and Huereca). To read the article (which, incidentally, mentions HOLA, and is in Spanish), click here. Pep Muñoz and Kelly McGrath star in the Fifth Wall Theater production of Mar Gómez Glez's play 39 Defaults. 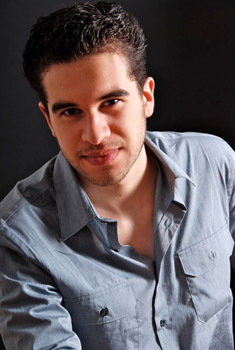 Directed by Julián Mesri, the show will have a June run at Casa Mezcal in Manhattan's Loísaida neighborhood. For more information, click here. Sosa James, Jr. booked and filmed a role in the as-yet-untitled short film from writer-director Steven Christopher. Raoul Daniel Luna will be presenting his self-penned solo show My Last, Best Spouse on July 18, 2012 at Dixon Place located in Manhattan's East Village. For more information, click here. 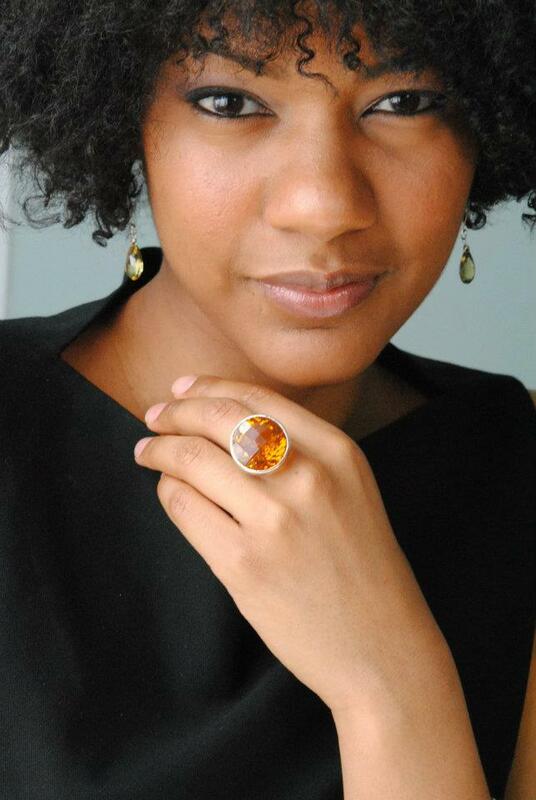 Milteri Tucker will be performing in "Ayer & Hoy/Then & Now", a dance performance she is choreographing and directing. Performed by Bombazo Dance Company, the performance will feature William Tucker, Anthony Carrillo and Orestes Abrantes and will be performed on June 6, 2012 at Pregones Theater, located in the Mott Haven section of the South Bronx. For more information, call the theater at (718) 585-1202 or click here.